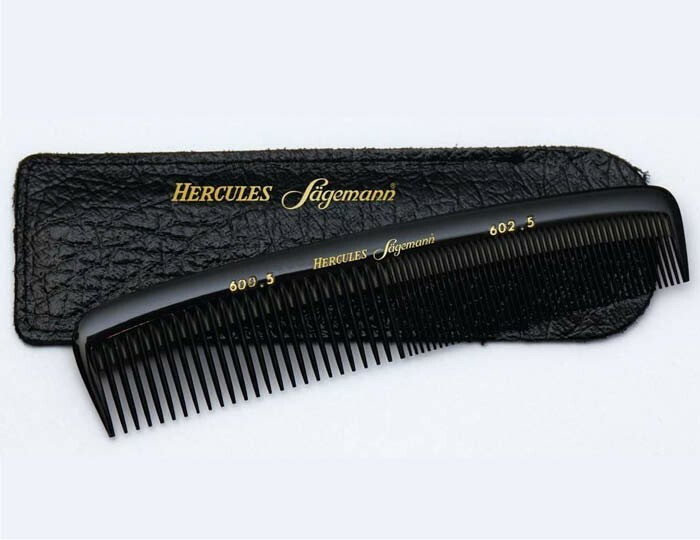 Hercules Sagemann gents hair comb is hand crafted in Germany and features a compact design with a strong body made of vulcanised natural rubber called ebonite. 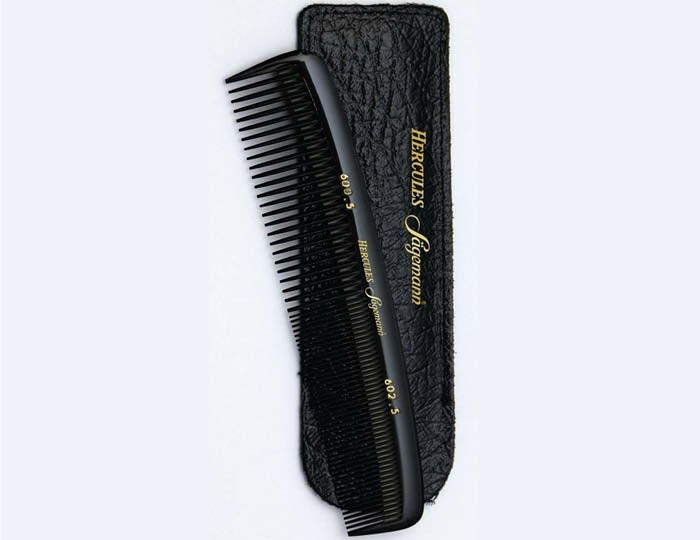 Ebonite is practically indestructible and guarantees the comb should last a lifetime. Thanks to absolutely burr-free teeth polished to perfection, it glides seamlessly through the hair and leaves you with entirely groomed look in a matter of seconds. 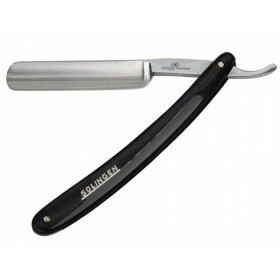 And you can use it for moustache and beard grooming too, thanks to the small size. Soft black leather pouch is designed to keep the comb discretely in your pocket or a toiletry bag, so you can carry your little grooming friend wherever you go. 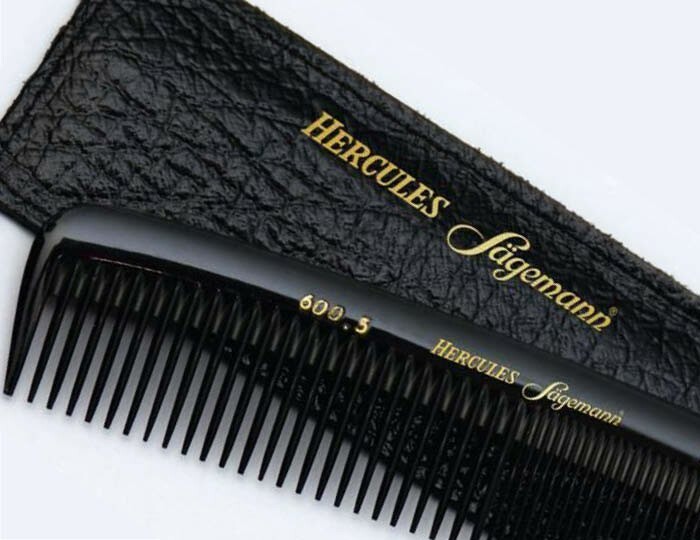 Hercules Sagemann gents hair comb is not a common comb - it's best in class crafted by German comb masters since 1856. Ebonite – vulcanised natural rubber – makes it super strong and twist-resistant, yet flexible and almost indestructible. In addition, it is polished to perfection and glides through the hair smoothly thanks to burr-free teeth and rounded tips, so your hair and skin are protected to the maximum. 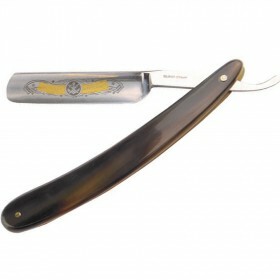 And you can use it for combing facial hair too! 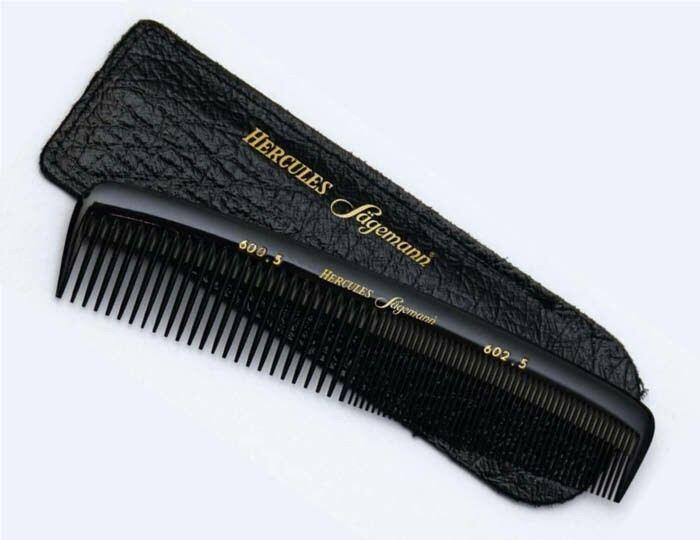 Whether you have a beard, moustache or goatee, this comb can handle the job with barber's precision. Complete with a black leather pouch, you can keep it discretely in your pocket or any bag, especially if you are often on the go. 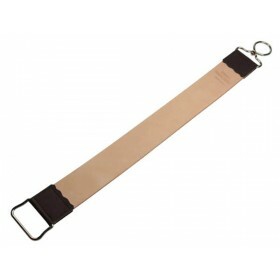 Length 5” / 12.7 cm.